In a recent case considered by the Second Department of the New York Appellate Division, the justices asked whether a repair company could be held financially liable for injuries suffered by a guest of the homeowners for which they did repair work. This case provides an example of the limits of liability for injuries, and the importance of pursuing the right defendant. In Barone v. Nickerson, the plaintiff, Pasquale Barone, was hurt when visiting the home of friends. As he was ascending an exterior staircase leading to the home in February of 2010, he tripped on the top step. When he grabbed the railing to steady himself, the railing “fell over,” and Barone was injured. Months before, in July of 2009, the homeowners had hired “Boyfriend for Hire,” a general contractor, to perform maintenance on their home. The owners sought Boyfriend for Hire’s help in replacing the front porch, as well as fixing the staircase’s top step, which had begun to decay. In the process of replacing the porch, Boyfriend for Hire detached the handrail from the porch, reattaching it when they had finished repairing the porch. Barone filed a lawsuit against the owners of Boyfriend for Hire for the costs of his injuries, arguing that the contractor had created a dangerous condition, or made a dangerous condition worse, by failing to repair the top step and by failing to properly attach the handrail. The owners of Boyfriend for Hire filed a motion to dismiss Barone’s claim. They argued that, while they may have had a contractual duty to the homeowners to perform those repairs safely and completely, they had only a limited duty to the homeowner’s guest not to make the condition more dangerous than it was before. Under case law in New York, a third-party contractor such as Boyfriend for Hire would be financially liable to an injured guest such as Barone only where the contractor, in negligently performing the work, “launches a force or instrument of harm” that makes a dangerous condition worse or introduces a new hazard. In this case, Barone argued that, by failing to make the repaired steps even or properly attach the railing to the staircase, Boyfriend for Hire had launched an instrument of harm, making a dangerous situation worse. In their motion to dismiss, the owners of Boyfriend for Hire used deposition testimony to show that the contractor did not leave the staircase in worse condition than it was in before they began the repairs, and thus did not breach the very limited duty to Barone by making the staircase more dangerous. The court agreed, and dismissed Barone’s complaint. In a case such as this, it may appear as though Barone had no way to receive compensation for his injuries. However, the plaintiff may still have a claim against the owner of the property. Homeowners who invite guests onto their property, but fail to ensure that their property is safe and free of hazards, can be financially liable to injured guests. While no one wants to file a lawsuit against friends, the homeowners would likely be protected by an insurance policy for any money owed the plaintiff. 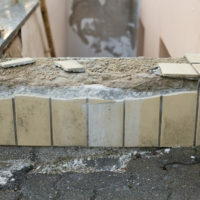 Additionally, the homeowners would have a greater right to compensation from the repair company for the negligent work on the staircase, even though Barone’s claim against the contractor was unsuccessful. If you’ve been injured by an accident on someone else’s property in New York and need help affording your medical expenses and lost work, contact the seasoned and trial-ready New York personal injury attorney Leandros A. Vrionedes for a consultation on your case, in Manhattan at 212-889-9362, and in Astoria at 718-777-5895.